[Portland, Oregon, Eugene, Oregon, and Willamette Valley] – On Saturday, May 21st, Solar Oregon will present the 2016 Solar Winery Tour, hosted by local solar-powered wineries. Transportation will be provided, with pick-up locations in the Portland, Tualatin, Salem, and the Eugene area. Each bus will visit three wineries, and includes a tour of the wineries’ solar power systems, wine tasting at each winery, and lunch. Celebrate this early summer season by joining Solar Oregon on an amazing trip through wine country of the central Willamette Valley. Whether you enjoy learning about the role of solar energy in local wine-making or you just enjoy a good glass of Oregon wine, this is the event for you! There will be opportunities to purchase wine from the winery hosts to take home with you, and great tour prizes too. What could be better than a day of good company, great wine, solar energy, and supporting Solar Oregon? 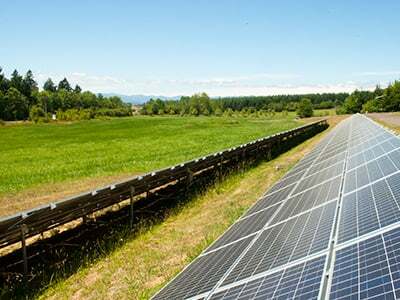 We encourage and demonstrate the successful use of photovoltaic and solar thermal technologies, provide information and education about solar energy, help remove institutional barriers to solar energy use, serve as a connector for the solar community, and support Oregon’s clean energy economy. We recently launched our Solar Sprint campaign, an effort to get 10,000 new solar installations in the Northwest by the December 2016.